t*rexes and tiaras: Tuesday Titles 126.. This book was the perfect accompaniment to a chilled Sunday afternoon; I read it in a couple of hours, which is always a sign that a book has managed to grab my attention. If I'm enjoying the story I won't want to put it down until the end. Caroline and Eleanor Plunkett are both invited to their 20 year school reunion. Neither sister wants to go; their lives took very different paths but they are similar in that respect at least. Throwing the reader right into their family lives and then back into the years as the girls were growing up, we begin to learn that both sisters have been keeping secrets, from one another, as well as the rest of their families for many years. But suddenly, one is about to become known. 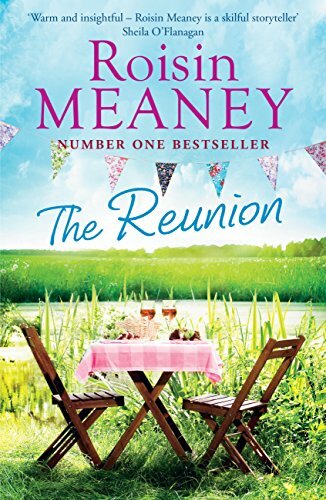 I really enjoyed the writing style - flicking between the years and the sisters' lives, the story was pieced together quickly, although with a few twists and turns along the way. Thoroughly recommend to anyone wanting to while away a weekend afternoon.